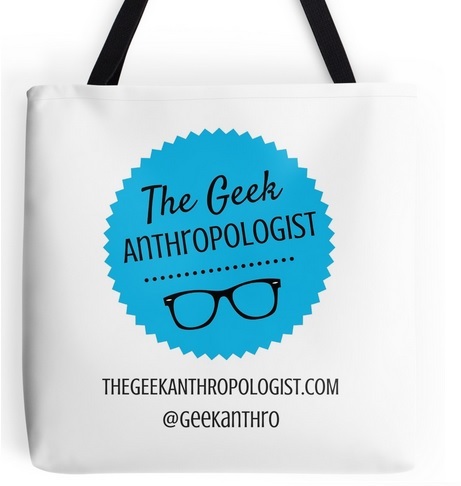 With the annual conference of the Canadian Anthropology Society starting tomorrow, I felt it might be useful for some of our readers who will be attending the event to be prepared for an optimal geeky experience in Quebec city. The program of the event itself offers a few interesting options for those interested in online ethnography, cyborg anthropology and generally geeky topics. These include, for instance, a presentation by Julie Beaulieu (Laval University) titled Between technology, feminism and visual culture: the cyborg in the work of Lynn Hershman Leeson (Thursday, 11 :00 AM, JA13), as well as Michael Connors Jackman’s (Memorial U. of Newfoundland), Cruising Surveillance: Digital Data Collection and Ethnographic Methods and Loïc Robichon’s (UdeM), La bande dessinée, une forme renouvelée de la connaissance anthropologique (Comic Books as a New Form of Anthropological Knowledge) (Thursday 2PM JP5). But you might wish to explore more than Laval University upon visiting the beautiful Quebec city. Everyone knows the old city center, hundreds of years old, is a must-see. But here are a few suggestions from yours truly in case you want to get your geek on and get away from crowds of tourists. My father has been purchasing his comics in this tiny book store for decades, and I have been a loyal client there for several years myself. The staff is nice and always welcoming, and you can find interesting titles in both English and French. As it is conveniently located in the old Quebec, you can even buy a few comics, get a good deal on a lunch at Paillard and then head over to the Terrasse Dufferin to read in peace and look over the Saint-Lawrence river when you take a sip from you café au lait. Ah, the dream! This two-story store sells everything from board games to comics and LARPing gear. Located in the shopping mall Laurier Québec, it is close enough to Laval University so that you can run there in between panels to purchase a D&D book and host a game during the CASCA Grad Student Network’s Get-Together at the Pub étudiant on the 14th! Feel like drinking a bubble tea? Quebec has not yet been swept with the same bubble tea rage cities like Ottawa and Toronto have known. So if you want bubble tea while visiting here, head to FanaManga. There you’ll also find a usual crowd of cosplayers and lolitas to hang out whith and a selection of mangas, clothing and figurines for sale. It’s a good place for a snack if you feel like eating onigiri or a light bento. There’s even a karaoke room where you can sing in Japanese, Korean and English. Missing your board games terribly? You met a group of professors and students who enjoy gaming as much as you do and you’d like to play all night while discussing anthropology? Head to La Revanche and make your pick among hundreds of games. The basic fee is 5$ to play and you can purchase food and drinks at your convenience. On May 16th, special discounts will be offered to clients! I hope to meet several TGA readers at CASCA 2015! I will be presenting Saturday morning in the session SA4: Indigenous Issues, Part 3 , so feel free to stop by and say hello!